Sony has uncovered their latest addition of X line Headphones, the on-ear MDR-X05 which featured a premium quality audio experience by Sony with more compact and stylish design. 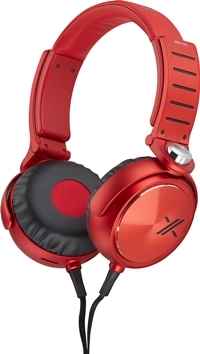 MDR-X05 has an attractive sound reproduction and stylish colorful body. The MDR-X05 has 40mm drivers so full of bass; design of headphones has been built in a way that can be fitted to the wearer’s ears without any discomfort, noise isolation is great don’t need to worry, cable of MDR-X05 is specially designed to avoid any twist or any other problem that you may face using normal headphones. 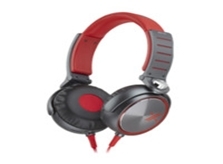 Headphones are available in combination of two colors black-Red, Red-Silver, Black-Silver and White-Silver. 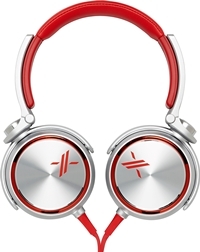 MDR-X05 New Headphone will be made available from 22 March 2013 for $199. Sony’s Personal Audio Group Vice President Andrew Sivori had this to say: When Sony teamed up with Simon Cowell, our goal was to create the best sounding headphones in the world for today’s most popular music– allowing listeners to experience the full spectrum of audio that artists and producers hear in recording studios. With the new X Headphones, now we’re delivering that experience in a more compact and portable design.